The Ronto Group announced that construction of a permanent on-site sales center at Eleven Eleven Central is on schedule for completion by the end of the year. The sales center will be incorporated in the 5,108 square feet of street level commercial space that Ronto has included in Phase I of the three-phase development. President and Principal Designer at Renee Gaddis Interiors and include a showroom with a full-sized kitchen and a full bath built to the dimensions found in the community’s Duval floor plan. Both spaces will display finishes included in the Eleven Eleven Central residences. 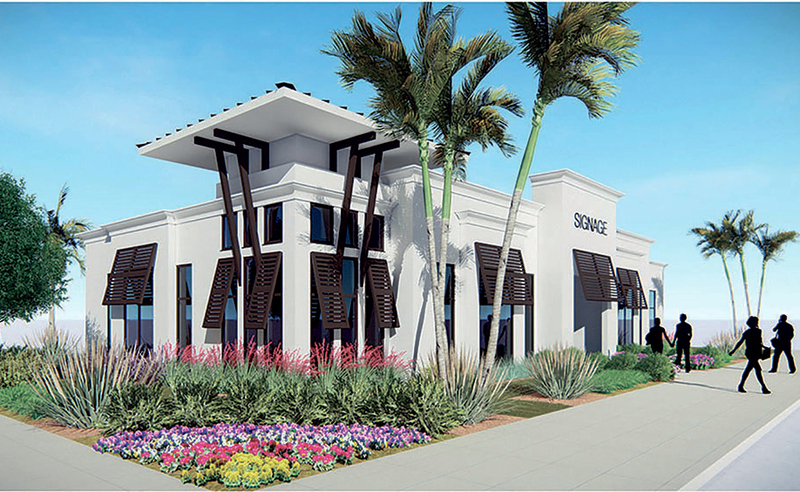 The sales center will be incorporated in the 5,108 square feet of street level commercial space Ronto has included in Phase I of the three-phase project. Ronto anticipates beginning Phase I construction by the end of this year. Phase I features five two-bedroom, two-bedroom plus den, and three-bedroom open-concept floor plans from 1,407 to 2,297 square feet, including covered outdoor balconies. Two floor plans are sold out. 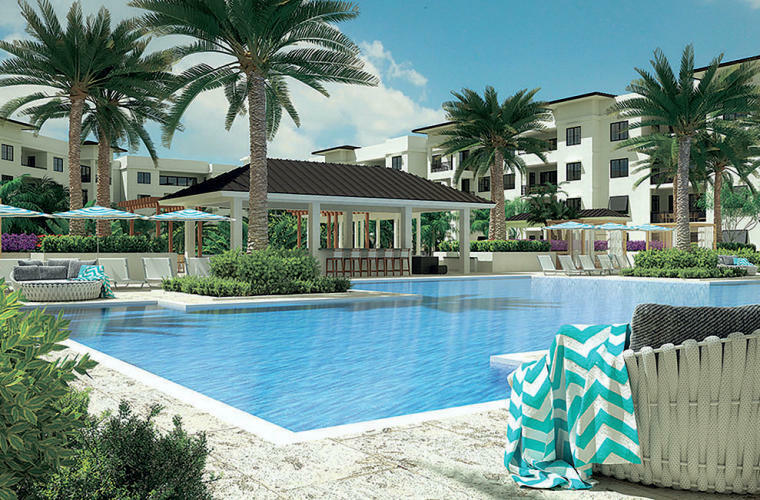 Pre-construction pricing on the remaining residences starts at $725,000. Three Phase I models showcase Ronto’s Duval and Collins floor plans and are available for purchase through a developer leaseback. A Belair model leaseback has been sold. 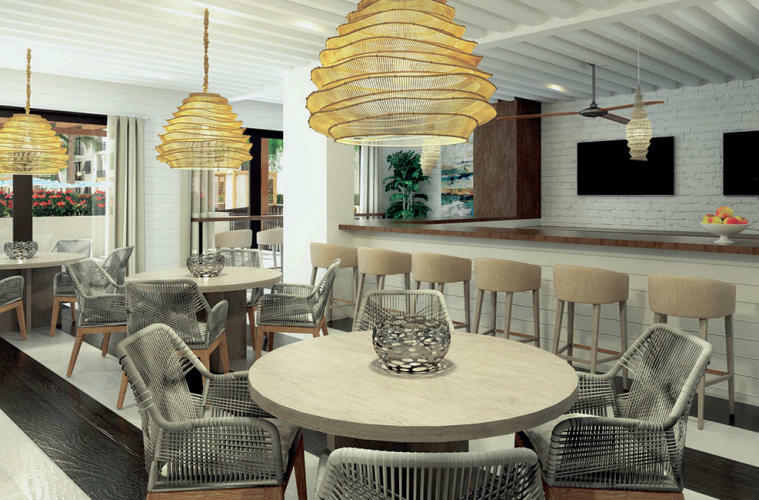 With its spacious floor plans, resort-style amenities, and coveted location, Eleven Eleven Central will serve as an access-controlled master planned oasis in the heart of Naples. er a nearly 3,500-square foot clubroom with a bar, billiards tables, card tables, televisions, and a catering kitchen adjacent to an outdoor grill and fi re pit. 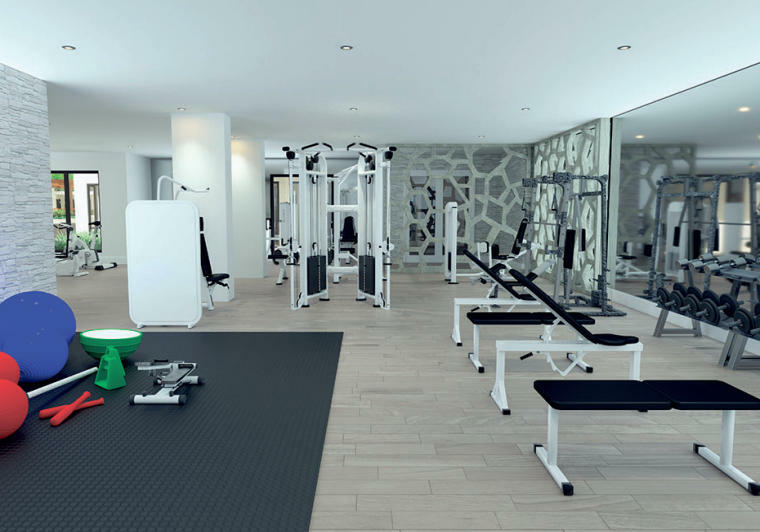 A fitness center also measuring nearly 3,500-square feet will include a stretching and functional movement area, exercise equipment, and massage rooms. Resident and bike storage areas will be included. Six furnished guest suites will be provided for visitors. An arcade/game room will be located on the second floor of the commercial building. 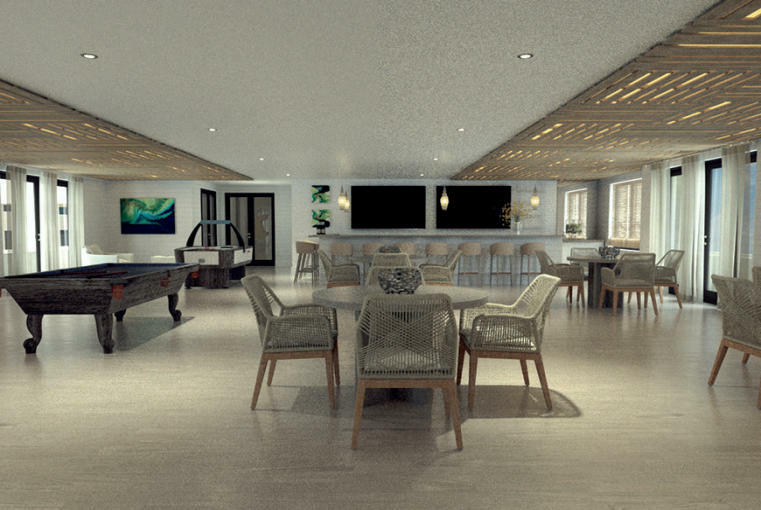 The game room will not only appeal to children and grandchildren, but also serve as a spacious, fun location for adult gatherings. The space can accommodate up to 40 people. Outside, the project’s approximately 60,000 square foot courtyard amenity deck is scheduled for completion in Phase I. The amenity deck will feature a 3,200 square feet resort-style pool, chaise lounges and poolside tables, two spas, outdoor showers, poolside cabanas, grills, a cabana bar and grilling area with large screen televisions, fi re pits with built-in seating, a hammock lawn, a life-sized outdoor chess set, a yoga stretching area, and two bocce ball courts. The outdoor amenities will be expanded during Phase II to include a 20,400-square foot Courtyard Park set ten-feet below the amenity pool deck at actual ground level. The Courtyard Park’s sunken orientation will provide tree-top views rarely found in urban settings. Every Eleven Eleven Central floor plan includes an outdoor balcony with views of the amenity courtyard or the surrounding neighborhood. Each residence will feature luxurious standard finishes or optional finishes that will allow residents to finish their homes to their individual preferences. Standard finishes include 10-foot ceilings, smooth walls with finish paint and 8-inch baseboards, polished chrome lever style door hardware, porcelain tile flooring, 8-foot two panel solid core interior doors, 8-foot sliding glass doors and exterior doors, and Whirlpool front load electric washers and dryers. Standard features in the open kitchens showcase working islands, stainless steel under mount sinks, granite or quartz countertops with a four-inch backsplash, North American Cabinets, and a Whirlpool stainless steel appliance package, including a slide in range with a convection oven and a French door counter depth refrigerator. Standard features in the owner’s bath include under-mount sinks, a 60 by 32-inch tub, framed glass shower doors, and 36-inch height vanities. Eleven Eleven Central’s commercial space will be integrated with the Design District that has emerged in the 10th Street corridor between 5th Avenue South and 4th Avenue North. The Design District includes new eateries, bakeries, galleries, and specialty shops. Eleven Eleven Central is five blocks from Fifth Avenue South. Naples’ world-renowned beach is three-quarters of a mile from the community via the sidewalks and bike lanes on Central Avenue or a short ride on the planned community beach shuttle. Eleven Eleven Central’s location also provides ready access to Baker Park and the Gordon River Pedestrian Bridge and Boardwalk on the east side of Goodlette-Frank Road that connects Central Avenue and downtown Naples to the Gordon River Greenway. For additional information, visit 1111Central.com or NaplesSquare.com.